An insect infestation is more than a pain; it’s a threat to the health, integrity, and value of your home. When cockroaches, bed bugs and or termites invade your walls, they spread disease while damaging or even destroying the underlying structure. It is critical that you eliminate these pests as soon as possible and secure your home against future infestations. As a residential and commercial pest removal service based in Citrus Heights, California, Parish Termite & Pest Management offers fast, efficient solutions to every manner of infestation. From houses to condos to multi-family apartments, we keep all homes free from disease and decay. With more than 65 years of combined experience providing local pest control, the Parish team understands that every infestation is unique. We provide a range of pest control services, which we tailor to the unique needs of your house. Our standard services are suited to an array of different infestations. Whether you're facing bed bugs, ants, cockroaches, beetles, or wasps, we remove them quickly while causing minimal disruption to your property. We then advise you on how to prevent another infestation from happening in the future. Termites are among the most serious pests, as they can undermine the structural integrity of your home. Our team can inspect your house for termite infestation and provide you with a report of our findings with costs for treatment. Parish Pest is now offering highly-effective mosquito control treatments that will make your backyard enjoyable again! Your backyard should be a personal paradise, and nothing makes that more difficult to enjoy than the constant buzz of mosquitoes as they drop in for their next meal. Give us a call and we'll be happy to make your yard a mosquito-free paradise again! Learn More About Mosquito Control. Though larger and easier to detect, rats, mice, opossums, and other mammals can be the most unsettling types of pests. They also present a number of serious health threats; not only do they spread diseases and bacteria, but their dander can trigger allergies. We eliminate these animals as humanely as possible and then help you shore up your house so they can’t invade again. Parish Termite & Pest Management, Inc. covers most of our services with a limited comprehensive warranty. If the pests ever return, we will never be far behind. 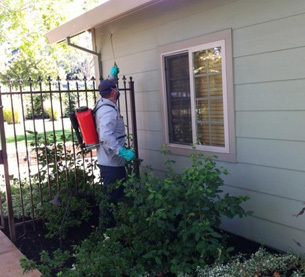 For more information on keeping your home safe, sanitary and pest-free, contact us at (916) 722-5000 today! The contents of this webpage are Copyright © 2019 Parish Termite & Pest Management, Inc.. All Rights Reserved.